Here in Texas, we’re no strangers to stormy weather. Storm damage can prove costly, but identifying it early is key to mitigating the damage and cost thereof. Learn more about how to spot storm damage on your residential or commercial roof, and how we can help at Rebuild Texas! Leave The Rest To The Professionals! From hail storms and thunderstorms to tornadoes and hurricanes, Texans are not new to inclement weather. 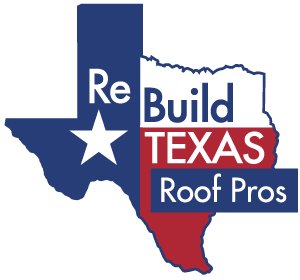 Although we know how to ride out the storm here in the Lone Star State, that doesn’t mean that our roofs are immune to the damage storms can cause. Stormy weather can be hard on our roofs, leaving our homes vulnerable to leaks and other issues, but the good news is that the storm damage repair experts at Rebuild Texas are here to help. How do you spot storm damage on your roof? 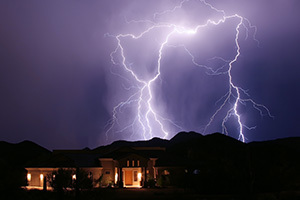 Believe it or not, one of the best places to look for storm damage to your roof is actually on the inside of your home! Inspect your attic for any signs of water damage or leaking. If there are any water stains on the walls or ceiling in your attic, you’ll need to call in a professional for repair or replacement. Watch for storm damage on the ground. Sometimes, you’ll be able to see evidence of storm damage on your roof in your yard. After a storm, check your yard for missing pieces of metal from your chimney, missing shingles or shingle granules. It’s also important to inspect the edges where your roof and walls meet, as well as exhaust pipes and the gutter system. Heavy wind and hail can do a lot of damage to asphalt shingles. If you have missing shingles, or you’ve noticed that your shingles have curled, torn or buckled after a storm, it’s time to call in a roofing contractor. If the storm in question was a hail storm, you should also look for small dimples in your shingles and siding. Do not get on your roof by yourself! 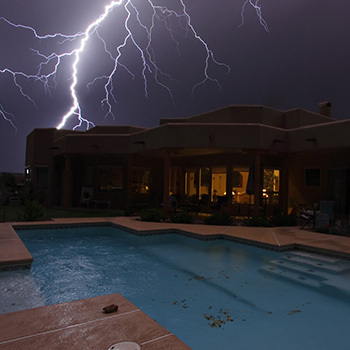 No matter how tempting it is, you should avoid getting up on your roof by yourself to check for storm damage. Not only could you end up getting hurt, but you could also accidentally cause additional damage to your roof by stepping in the wrong spot. For storm damage inspections and repairs, choose Rebuild Texas. There are a lot of different things you can do to look for storm damage on your own, but if you’re unsure of what to look for or you’ve been in a severe storm, let the experts at Rebuild Texas help. In addition to experienced roofing contractors, we also have licensed insurance adjusters on staff, so we can even help you file your claim! Contact us today to schedule your storm damage inspection or repair. ©2018 Rebuild Texas Roof Pros. Do Not Copy. * Contact us for details and estimates. Warranty information provided upon request.